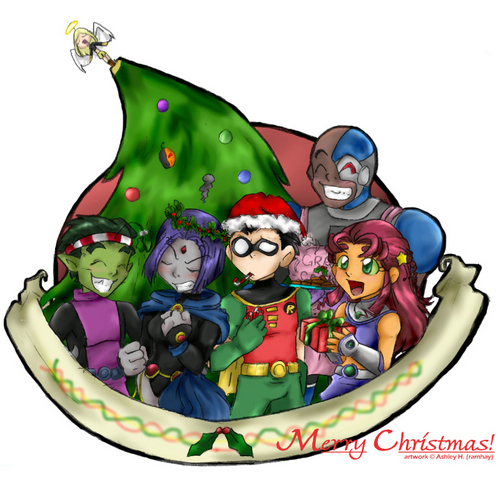 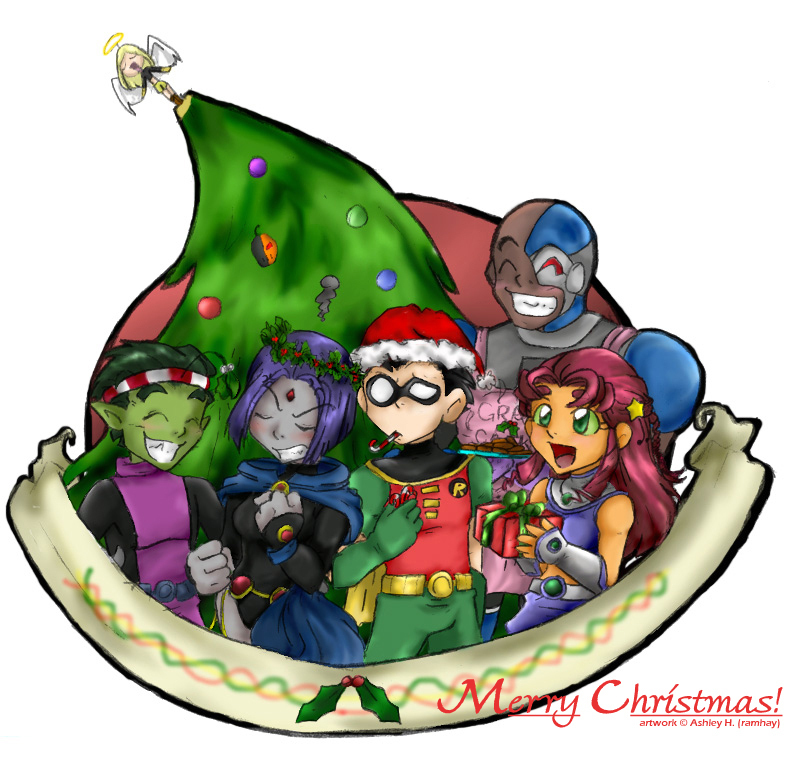 Merry 크리스마스. . HD Wallpaper and background images in the 틴 타이탄 club tagged: raven teen titans robin teen starfire titans beast boy.